The outline and examination of the similarities and differences between conservative Christian movements and groups allows Barrett-Fox to move beyond the spectacle of the Westboro Baptist Church and connect its operations to broader patterns in contemporary society. 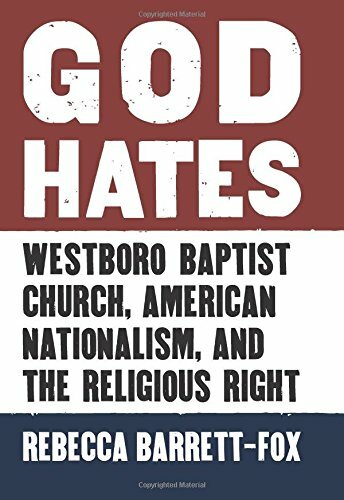 This is made all the more interesting—and potentially useful in classrooms of varied levels—because the analysis is embedded within intricately constructed thick descriptions of events and political activities, extensive interview quotes from various sources, and multi-faceted historical aspects of the Westboro Baptist Church itself. The use of this data throughout the argument reaches an impressive zenith in Chapter Four—wherein Westboro Baptist Church and the religious right are placed in comparison—and Chapter Five, wherein the author offers an intricate discussion of theological, national, and civil liberty conflicts on a broader scale. Beyond the broader analytic offerings and possibilities of the work, I was also struck by just how well-written and easy to read this text is. Barrett-Fox undertakes a very complicated project here but does so in an easily accessible writing style that I would feel comfortable assigning in undergraduate courses. The use of examples—from federal laws to local disputes, from sermon topics to private interviews, from broader social movements to specific Westboro Baptist Church campaigns—does a lot of the work by allowing illustrations, rather than overly academic extrapolation, to do most of the talking. As a result, the book reads more like a mainstream non-fiction discussion of the questions many people have asked about Westboro Baptist Church, contemporary America, and the religious right than the average academic text. This readability may be problematic for people less familiar with religious and sexual scholarship, as they may wish for more background, theorizing, or structure in places. At the same time, this approach makes the book much easier for those interested specifically in this topic and for wider audiences coming to the subject from different perspectives and academic levels. I would thus not be surprised to see this book do well beyond specifically academic, political, or religious audiences and contexts. Overall, Barrett-Fox has constructed an intriguing and well-written text that both sheds light on one of the most controversial conservative Christian groups in recent memory and outlines the ways this group fits into broader American political and religious patterns, histories, and movements. As such, the work may be an entertaining and interesting read for scholars seeking to make sense of the ongoing political battles between religious groups and minority communities throughout our current political structure. At the same time, Barrett-Fox’s efforts here may provide starting points for ongoing and emerging critical approaches to sociologies of religion as well as greater integration of sexual and political concerns into the scientific study of religion and religious movements. Above, a note from a student in introduction to sociology ends with “It sounds strange but I have enjoyed reviewing/redeciding everything I know/believe. Thank you!” It doesn’t sound strange at all! 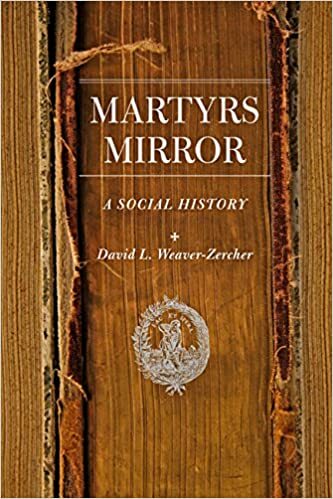 I recently got the opportunity to review David Weaver-Zercher’s Martyrs Mirror: A Social History, from Johns Hopkins University Press for the journal American Studies. I think the book will interest many of our readers. And if you’ve read it, please let me know what you think! 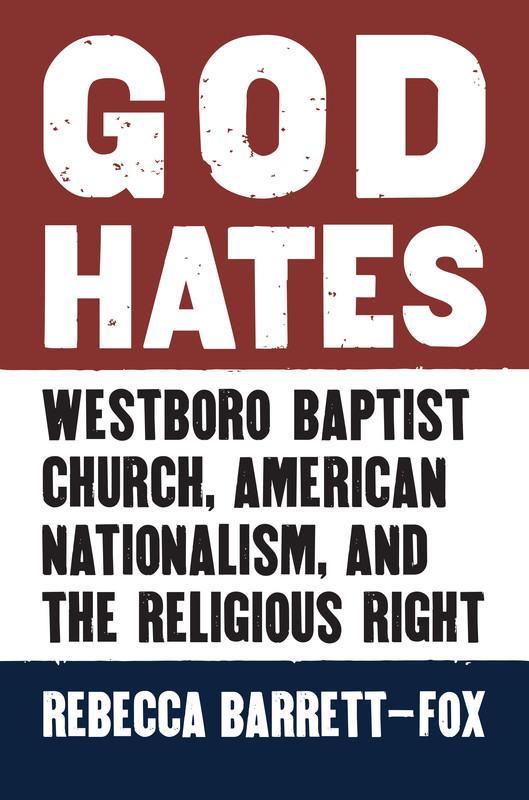 Okay, to be fair, all the books from University Press of Kansas are on sale right now, so when you fill your shopping cart, be sure to put a copy of God Hates: Westboro Baptist Church, American Nationalism, and the Religious Right in it. When you check out before midnight on June 30, just use the code HOTS30 to get your discount.